The 50-foot vessel, designed by Anderson Associates, & built by Pacifica has been delivered for gold dredging near Nome, Alaska. 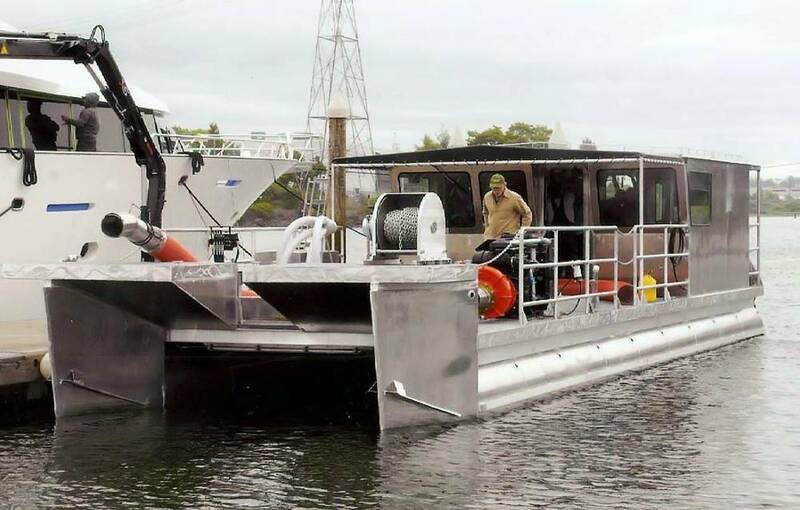 Anderson Associates, a Bremerton-based multidisciplinary engineering services firm, recently completed design of a new dredge vessel for Pacifica, a Seattle-based vehicle assembler. The vessel was designed specifically to meet the unique requirements of sub-surface dredging operations in the remote coastal waters of the Bering Sea, and is powered by twin 300HP Yamaha outboards. 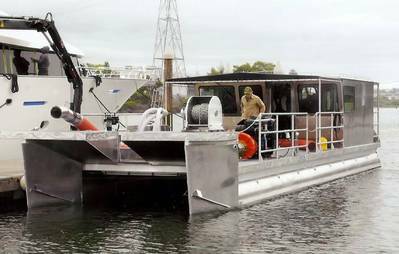 It features a custom-designed bow for cutting through the rough seas and all pump, sluice and crane systems to conduct its gold dredging mission. “This was a fun project in that we were able to learn quite a bit about the gold dredging business, the unique equipment involved with it, all while applying the engineering skills we enjoy,” said Ben Anderson, Naval Architect and Project Manager for Art Anderson Associates. Interest in offshore gold dredging has grown significantly, driven by high gold prices, recent offshore lease sales by the State of Alaska, and the popularity of TV programs such as the Discovery Channel’s Bering Sea Gold.